Not everyone who targets a reliever targets him for saves. Scott White looks at one of the more overlooked parts of the player pool. You've heard enough about them, I'm sure. Relief pitcher coverage begins and ends with that stat because it's by far the most important to the vast majority of the Fantasy Baseball-playing world. Ratios. In standard 5x5 categories leagues, some relievers are just so dang good that it's worth taking a hit in the wins and strikeout categories. Some, like the top reliever on this list, even manage to hold their own in strikeouts. Holds. Some leagues reward holds. Some reward saves plus holds. Either format expands the pool of usable relievers, elevating the most talented over those who just happen to be in the right role. Prospect saves sources. In deeper leagues where closers cost a pretty penny and account for the greatest scarcity, it pays to speculate who may inherit the role at some point. And those speculative pickups might just help you with favorable ratios in the meantime. With those reasons in mind, I've divided these relievers into three categories: ratios relief, holds heroes and saves sleepers. Obviously, there's some overlap. Most every saves sleeper is in a position to accumulate holds, and you could make the case all of these relievers offer ratios relief. It's meant to shorthand the process, though, by identifying the primary reason you might target each reliever. 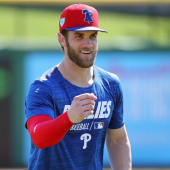 Please note that I excluded all closing candidates from the four teams whose preferred ninth-inning option still seems to be in question, which would be the Red Sox (Matt Barnes, Ryan Brasier), the Diamondbacks (Archie Bradley, Greg Holland), the Marlins (Drew Steckenrider, Sergio Romo) and the Giants (Will Smith, Mark Melancon). It's a judgment call and mine to make, but I wanted to mention it so you're not left wondering "where's so-and-so?" Volume has as much to do with this ranking as anything. Josh Hader has a habit of pitching multiple innings -- often including the ninth, which helps explain last year's save total -- and his 143 strikeouts were 19 more than any other full-time reliever. A workhorse with ratios nearly on par with Hader, Adam Ottavino no longer has to contend with the specter of Coors Field. Throwing his slider with the frequency of a fastball has made him near unhittable at times. His 2018 was wrecked by injuries, but Andrew Miller was sort of Hader before there was Hader and is technically in the saves mix for the Cardinals (though they'd prefer to keep his role more versatile). Though David Robertson is the presumptive front-runner for saves in Philadelphia, manager Gabe Kapler isn't one for defined roles and may turn to his second-best reliever, Seranthony Dominguez, to lock it up from time to time -- especially if the situation calls for multiple innings. Becoming the designated opener for the Yankees (as rumored) would cost him wins and holds, but Chad Green has twice over proven he's one of the game's most overpowering relievers, averaging 97 strikeouts with a 2.18 ERA and 0.90 WHIP over the past two seasons. The ratios drop to 0.77 ERA, 0.60 WHIP and 1.49 FIP during the two months Ryan Pressly spent with the Astros, those data-mining darlings, who then proceeded to buy out all three of his arbitration years (presumably because they're expecting a continuation of that sort of production, which would blow up the price tag). The long-rumored closer-in-waiting may finally end his wait this year, seeing as Shane Greene, he of the 5.12 ERA and 4.61 FIP last year, is still occupying the ninth-inning role. A rocky patch to begin the second half may be the only reason Joe Jimenez isn't already the closer, but his FIP offers a better assessment of his abilities. The Rays technically haven't declared a closer and don't plan to, but Jose Alvarado is being drafted like he's the guy and Diego Castillo most certainly like he isn't (443rd overall). If manager Kevin Cash opts to keep the left-handed Alvarado more versatile, though, here's your clear front-runner. Felipe Vazquez is often the subject of trade rumors, and Keone Kela already has closing experience from his time with the Rangers last year. He's the obvious eighth-inning guy in the meantime. After incorporating a slider into his arsenal about one-third of the way into last season, Taylor Rogers took off with a 1.34 ERA, 0.70 WHIP and 10.9 strikeouts per nine innings thereafter. But he throws left-handed and Trevor May, who himself did some impressive things down the stretch last year, doesn't. Pedro Strop isn't exactly proven as a closer, and there's no guarantee when Brandon Morrow (elbow) will be ready to reclaim the role either. Maybe Steve Cishek is next up, but in the meantime, he'll continue to fill the role that notched him 25 holds last year. Craig Stammen came within an inning of his second straight 80-inning season last year, so his ratios count for more than those of the average middle reliever. At 35, he's kind of a late bloomer, which brings with it some risk, but he's really the Padres' only choice for the eighth-inning role.